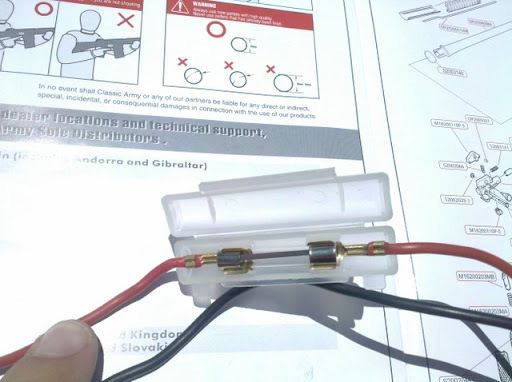 Pyramyd Airsoft Blog: Quick Field Fix for Removing the Fuse in your AEG when it blows during the middle of a game. 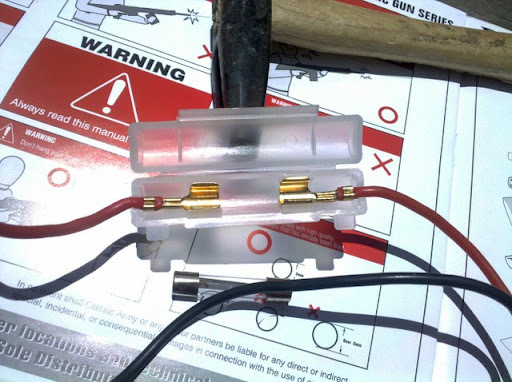 Quick Field Fix for Removing the Fuse in your AEG when it blows during the middle of a game. You in the middle of a game. You only have one Airsoft AEG with you. It's brand new and did not have the time or resources to properly remove the fuse prior to game day, so you play with the gun as is. However, early in the first game of the day, you blow the fuse in the gun and don't have a spare to replace it with. Sadly, you head back to your vehicle, thinking your day is done WAAAAY too early since your AEG is no longer operational and you don't have a backup. You head home, dejected, after having to spend all week in anticipation of game day, only to have it cut short within an hour of the first game beginning. THIS IS TOTAL BUMMER and a good reason why I try to replace the wiring in my new AEG as soon as I get them. However, I realize that is not always possible for everyone, including me, and sometimes you just can't wait to take your new toy out to show off at the field. So, I have a temporary solution to use so that you can continue to play for the remainder of the day (assuming no other complications arise). I will show you in a small series of pictures. When you see it, you will say to yourself, "HOLY BBs! It's so simple!!!" 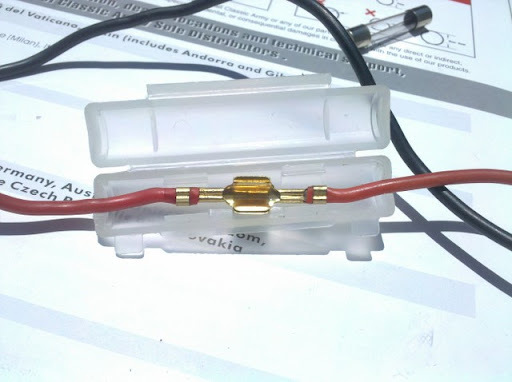 For this example, I used a Classic Army CA25, but will work with any AEG that uses this style of fuse assembly. Yup. It's that easy. Temporary though. You really should either completely replace the wiring or at least cut the fuse connectors off and solder the two pieces of wires together. But we'll be talking about that later. For now, the pictures above should illustrate how to get by until you can make other arrangements. Any questions? Post up a comment.